been arrested by the Ghana Immigration service together with the Police authorities in the country for allegedly engaging in pros-titution. 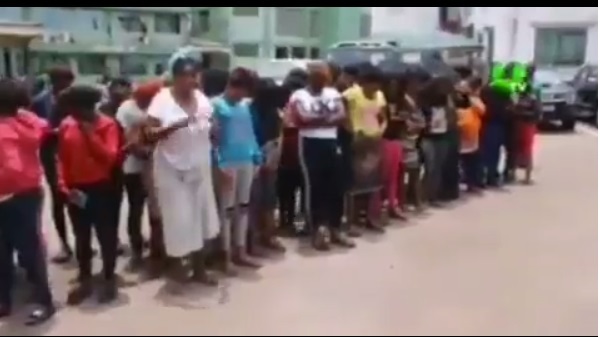 Ghanaian journalist, Ameyaw Debrah who shared the clip, reported that the ladies were arrested in Adenta Community. According to him, they will be deported.